Point2 Homes gives you far more than a simple list of houses for sale. 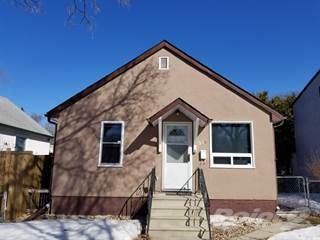 Get instant access to a lot of relevant information about St. Boniface, Winnipeg, MB real estate, including property descriptions, virtual tours, maps and photos. The search results pages also have a wealth of information on St. Boniface, Winnipeg, MB, if you scroll all the way down. 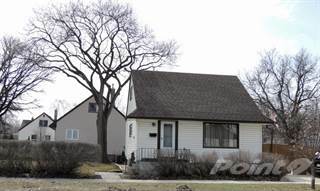 There are 140 houses for sale in St. Boniface, Winnipeg, MB. 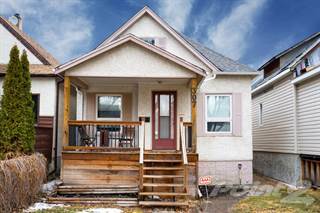 Searching homes for sale in St. Boniface, Winnipeg, MB has never been more convenient. With Point2 Homes, you can easily browse through St. Boniface, Winnipeg, MB single family homes for sale, townhomes, condos and commercial properties, and quickly get a general perspective of the real estate prices. Also, you’ll never miss a bargain if you filter listings based on house price drops in the past six months. Use the map view to find St. Boniface, Winnipeg, MB homes and apartments for sale, based on amenities or city features that you may want close by. You can close in on a specific neighbourhood or area by simply drawing around them with the polygon or radius tools. Stay informed about the latest entries on the real estate market by saving your searches. This way, you get new listings in your inbox, daily or every week, based on your preferences. If you’d like to get in touch with a professional, agents are displayed next to their listings, and they’re easy to contact through the online forms. If you want more options, you can click the Tools tab and Find an Agent, and you’ll get a list of helpful and knowledgeable real estate agents in St. Boniface, Winnipeg, MB. Visit the Point2 Homes blog and you can find up to date expert advice on many markets throughout Canada, regular market reports, neighbourhood scoops in cities throughout the provinces, real estate deals and useful recommendations. St. Boniface is the city’s French sector where much of the French Canadians and other French-speaking folks reside. It is also considered one of the largest French communities outside Québec and is the birthplace of Louis Riel, the leader of the Métis people who founded the province of Manitoba. Approximate boundaries of St. Boniface is the part of Red River and Mission Street to the North, Carriere Street and Fermor Avenue to the South, Lagimodiere to the East, and Red River to the West. The area of St. Boniface is quite huge as it covers the southeast part of the city. St. Boniface is a neighborhood community that offers residential, retail and industrial opportunities. A quaint neighborhood as you would see from the buildings and the architecture, many traditional events and gatherings are always present at different seasons. Filled with culture and tradition that are extended from one generation to another. St. Boniface precisely reflects its French Heritage. There are quite a number of things to do in St. Boniface. If you are a food enthusiast, there are a lot of restaurants with different cuisines, and cafés that has a wide variety of drinks and dessert to end a hearty meal. One of the many restaurants in the area is the Purple Hibiscus at the St. B. Grill that offers a Caribbean dining experience; just make sure to reserve a seat during Fridays and Saturdays as the seats fill up quickly. Le Garage Café, established in 2005, not only offers good French-Canadian gastronomies, but also good music and live entertainment. There are also a lot of historical buildings and places that you can go to learn more about the Francophone community. Like the Le Musée de Saint-Boniface Museum , which is the oldest building in Winnipeg, it was originally used as the Grey Nun’s Convent back in 1844. One of the city’s major architectural landmarks is the St. Boniface Cathedral, which was first built in 1818. This landmark attracts thousands of visitors each year. Tours and tour packages are available if you wish to visit and discover St. Boniface, you can check out the Riel Tourism Bureau at Provencher Boulevard for more information on attractions and events. There are many developments being made in and around the City of Winnipeg, and the area of St. Boniface is one of the many places where development, in terms of residential housing and commercial establishments are taking place. There are many houses that still lay and untouched throughout history. The designs of the architects from the 1800s are still evident on some of the houses that are still present in the area. However, as years pass and with the modern architectural designs being crafted as works of art in the real estate world, more modern designs are being built and are available, varying in terms of financial budget, design, functionality, location and much more. With the existence of industrial parks in the neighborhood pollution related to industrial wastes and the like are inevitable. The presence of big trucks that has routes in the streets of Provencher Boulevard are relatively loud and as these trucks pass by, you would feel the vibration, not to mention the dust that showers from them is also an annoyance. However, for the rest of St. Boniface area, specifically on the residential zones, it is fairly quiet and calm. The crime rate in St. Boniface area is fairly low compared to that of other areas in Winnipeg based on the Crimestat data provided by the City Service of Manitoba. But residents are still advised to always be vigilant and aware of their surroundings and to report any suspicious activities in their neighborhood. There are many schools to choose from or many options in the area of St. Boniface with varying course offerings and schedule that would fit your needs. From historical references, schools in the area were started by religious orders during the early 1800’s, and you would notice the evidence of Catholic schools, as it is present in most of the schools in St. Boniface. Take the College de Saint-Boniface for example, this school was one of the founding institutions of the University of Manitoba. The Holy Cross (RC) School is a Roman Catholic school in Dubuc Street that offers primary and secondary education. Another learning institution is the Louis Riel School Division that offers English and French immersion education to its students. This school even has continuing education available. Going in and around St. Boniface, or wherever you may be in the city is a breeze. The city’s transit buses run many routes in the area depending on where you might be going. Service information are also easily accessible and within reach by simply accessing Winnipeg’s city service website. Through here you may check the schedules of the transit buses in the area. Aside from the transit buses, there are also privately owned taxis such as Unicity Taxi and Duffy’s Taxi that are available anytime of the day if needed. Simply call their 24-hour hotline and you’d be on your way. Like any other neighborhood in Winnipeg, there are quite a number of families residing in St. Boniface, families that reside to a that date as far back as when the fur traders first settled in the area. The feeling of being at home and being part of it is clearly showed in how the people of St. Boniface moved on after such devastating misfortune struck the St. Boniface Cathedral, which is a home and a sanctuary for most of the people during those times. Now, as we look back, infrastructures, different cultures have been part of that development but one thing is for sure, the togetherness of the people are evident, among neighbors, among families. There are a lot of volunteer programs for individuals and the families alike to make St. Boniface a better place for everyone. Read more about living in Winnipeg, MB.